The perfect bag to transition your look effortlessly from day to night. 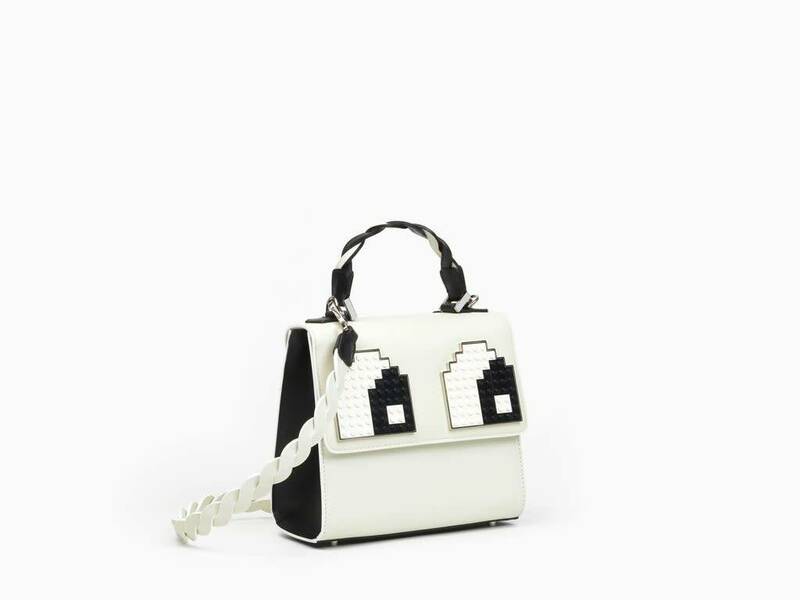 The Mini Alex features LPJ's signature plastic block eyes. 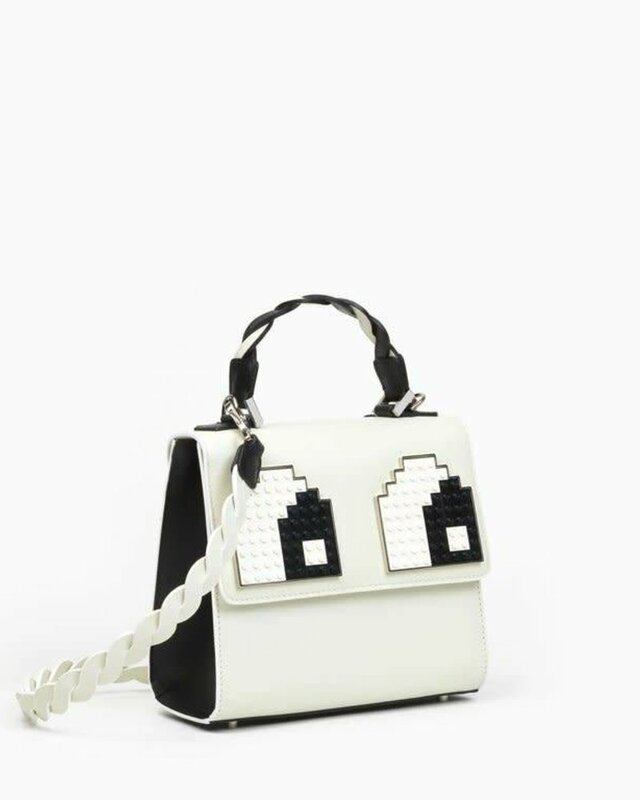 The top handle is black and white and comes with a detachable white braided crossbody strap. Inner is nappa leather and has one open pocket. H 7 in, W 8 in, D 4 in.